The Washington Post says Lockett's aborted execution and subsequent death by heart attack, along with ongoing controversies over the drugs used and how they are administered, "have begun a whole new phase in the decades-long struggle over capital punishment." "For years, opponents of the death penalty fought about its fundamental fairness under the Constitution. When they lost that fight, they attacked the capacity of the criminal justice system to actually mete out the death penalty reliably and without racial bias. They lost that fight, too, in the 1980s." CNN says, referring not only to the execution of Lockett but to that of Ohio inmate Dennis McGuire, who in January took 24 minutes to die using a new cocktail of drugs, has brought up the issue of "whether using such drugs in executions constitutes 'cruel and unusual' punishment, in violation of the Eighth Amendment to the U.S. Constitution." "After his execution, McGuire's family filed a lawsuit seeking an injunction of the execution protocol the state used.
" 'The lawsuit alleges that when Mr. McGuire's Ohio execution was carried out on January 16th, he did endure frequent episodes of air hunger and suffocation, as predicted,' the office of the family's attorney Richard Schulte said in a statement. 'Following administration of the execution protocol, the decedent experienced "repeated cycles of snorting, gurgling and arching his back, appearing to writhe in pain," and "looked and sounded as though he was suffocating." This continued for 19 minutes.' 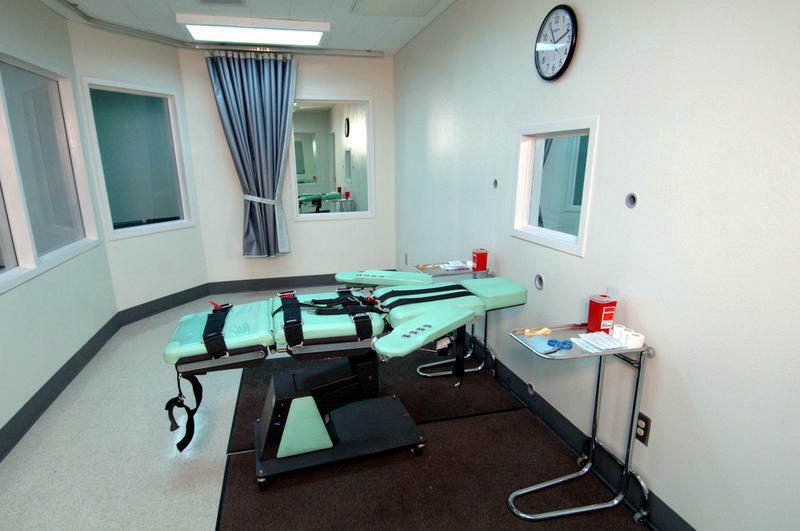 "
As Eyder has reported, death row inmates in different states have asked judges to delay their executions based on questions about lethal injection drugs. Some courts — including the U.S. Supreme Court — have refused to step in, and executions have proceeded. "In 2009, an EMT in Ohio jabbed Rommell Broom with a needle 18 times trying to establish access. His execution was eventually postponed: He walked out of the death chamber alive. At that time, Deborah Denno, a professor of law at Fordham University, told me Broom's execution was 'the worst botched execution that has happened in the history of this country.' 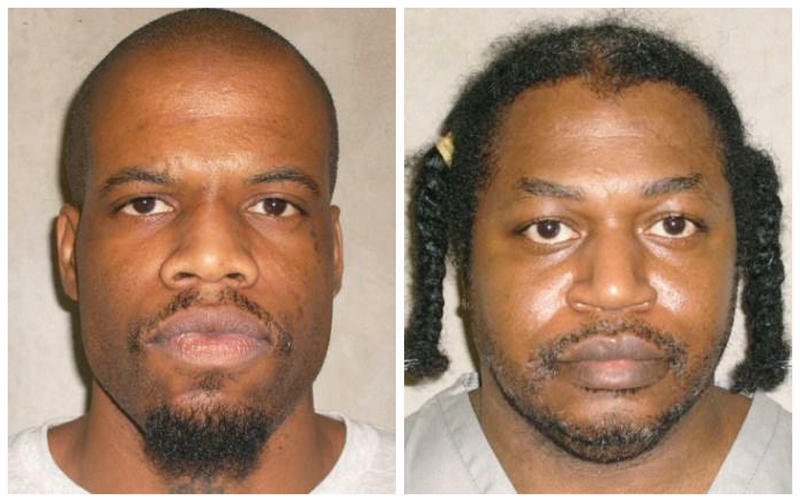 "
"Lockett's execution might have surpassed it. In all likelihood, the executioner who inserted Lockett's IV — and, in Oklahoma, an IV is inserted into both arms — missed the veins or went right through them. After this likely mistake, the state, according to the protocol, would have had 'three persons to administer lethal agents' — that is, to push the drugs through the IV line. A medical professional might have been able to recognize, based on the level of resistance, that the IV line was not flowing properly into Lockett's vein. However, the Oklahoma protocol requires no medical training at all on behalf of these 'three persons.' These 'three persons' also could have ruptured Lockett's blown vein further by applying too much pressure to the plunger. (It's impossible to know who these people were. 'The identities of the persons selected as executioners shall not be disclosed,' the protocol says.)" The American Civil Liberties Union of Oklahoma called Lockett's execution attempt "a science experiment ... behind a veil of secrecy." 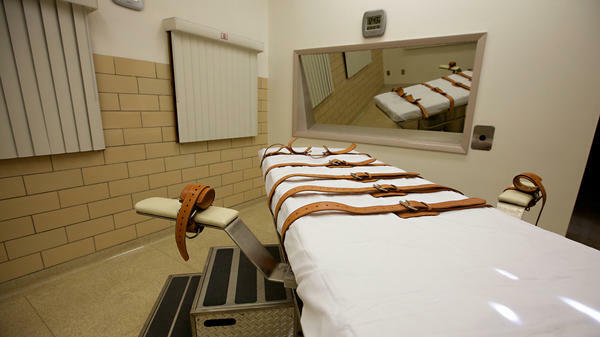 "We hope that courts will reconsider whether transparency about the drugs used in executions is required as a matter of law," the ACLU said in a statement issued late Tuesday. "After tonight, there's no speculation needed to appreciate that there are fundamental failures in our execution process."